ZQuiet Review - Test Results Show That it Might Not Work For Some ? Sleeping disorders are a huge problem that affect every part of your life – and you get lots of complaints from the people you live with! There are so many stop snoring devices out there, but a lot of them aren’t much good. I’d like to share my personal experience with the ZQuiet since that might help you to find the best anti snoring device for you. I certainly tried quite a few before I find the one that worked for me, and it cost me a lot of money, because most of them didn’t do the trick. So here’s my ZQuiet review! 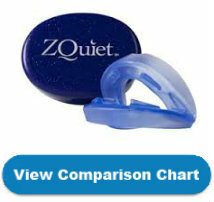 The ZQuiet is a Mandibular Advancement Device (MAD). That means that it pushes your jaw a little bit forward at night. The theory behind MADs is pretty sound. Snoring happens if your airways are blocked, and if you want to keep airways open, moving the jaw forward stops them from closing up. The ZQuiet is a basic anti snoring mouthpiece that you put into your mouth at night to keep your jaw in the right position. I tried it because it does seem to work for some people, but of course, nothing works for everyone. Another thing that attracted me to it is that its got a sort of a hinge that lets you open and close your mouth, and I liked the fact that it’s just something you pop into your mouth without straps, screws or any of the other fiddly features I’ve seen around. Simple is sweet, right? Well, that’s what I thought at the time anyway. To tell you the truth, I was a bit disappointed at first sight. It looks flimsy. It doesn’t look like anything you should pay so much for. I’ve seen joke shop Dracula teeth that look more durable than that mouthguard. But hey, it’s medical grade plastic and maybe that’s expensive or something. And I did want something simple, so I can’t complain about that either. Simple it is! Too simple? One has to try it to see. If you want the whole summary of what works, check out the snoring device comparison chart here. If you want all the dirt on this product in detail – read on! Here goes my personal ZQuiet review: First of all. It didn’t fit. No problem, the instructions show you how to make your own modifications with a bit of snipping and filing. So I snipped and I filed and eventually got something that seemed to fit. It was quite soft and springy and it didn’t mess with my tongue so I didn’t drool (much). I could move my jaw too. People say you can talk with this thing in your mouth, and they’re right in a way, but you talk really funny. No problem, I don’t talk in my sleep anyway, and at least I didn’t look like Hannibal Lector with this device on. Time for bed! Here’s the really bad news. 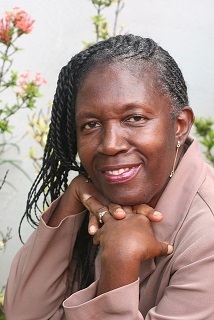 My ‘snoring advisor’, aka my other half, said I snored a bit more quietly, but I still snored. And you sleep with your mouth slightly open because of its design – not a pretty sight. Plus, when I woke up in the morning my mouth was sore. My mouth was dry from being open all night and I also had a funny, plasticky taste in my mouth. Yuk! I think I slept a little better because I was snoring less forcefully, so I decided to give the thing a few more nights’ trial to see if I’d get used to the way it felt, and since I hadn’t found a better solution yet (I did, later on) I thought I may as well make the best of it. After a few nights, I found that my jaw wasn’t quite so sore, but my sleeping partner said I was also starting to snore more loudly again. Had the device stretched? I don’t know for sure. It sort-of worked – for a few nights. It sort-of fitted after I modified it. It’s quite springy – not rigid. You still snore! Well, I did! You sleep with your mouth open. It’s flimsy. Don’t just take my word for it. Even people who like it say it needs frequent replacement. You can’t wear it if you have any dental problems, crowns and so on. I don’t like this device and I won’t buy another. What’s the point of having a device in your mouth if it doesn’t stop you from snoring? The cost of the ZQuiet isn’t worth paying and I won’t buy it again.My advice to you is to visit the comparison chart and see for yourself where you should start looking for an anti-snoring device.